These strings are in oxide. Not sure whether they should be localized there or at the webbrowser level. 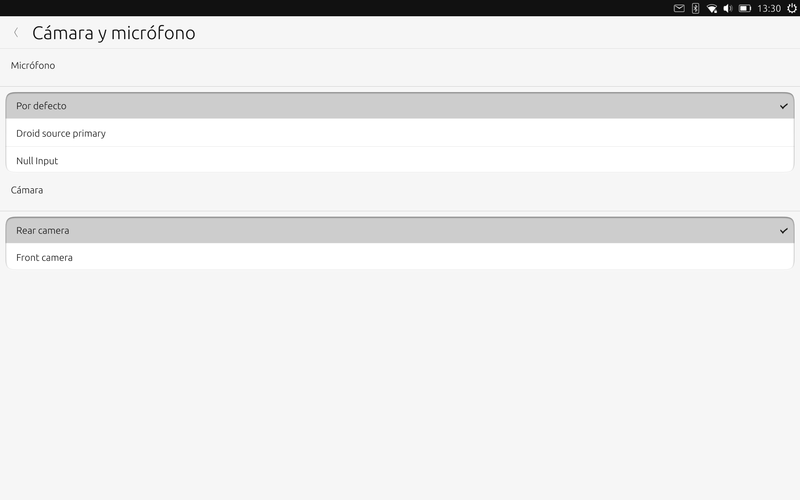 phablet@ubuntu-phablet:/usr$ grep -r "Front camera"
phablet@ubuntu-phablet:/usr$ grep -r "Rear camera"
Indeed, those strings belong to oxide and they are not internationalized: https://bazaar.launchpad.net/~oxide-developers/oxide/oxide.trunk/view/head:/shared/browser/media/oxide_video_capture_device_factory_linux.cc#L47. Will we get this in 1.15 for this update? The translations in launchpad need to be imported into the codebase so that next time packages are built they are put into the langpacks.